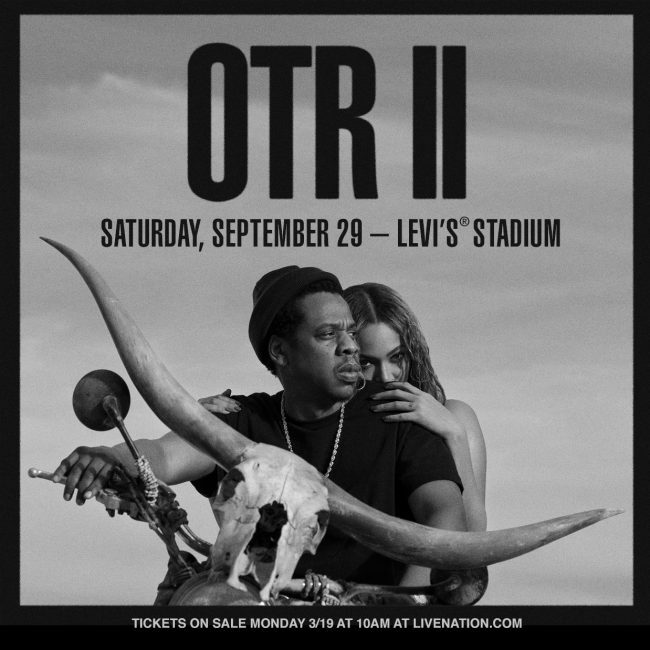 Jay-Z and Beyoncé are joining forces for the newly announced OTR II stadium tour and will visit the Bay Area on Saturday, September 29 for a concert at Levi’s® Stadium. The show will mark Beyoncé’s fourth performance at Levi’s® Stadium, including her appearance during the Super Bowl 50 Halftime Show, and the first for Jay-Z. Tickets are now available for purchase on Ticketmaster.com or below. All guests ages 2 and above must have an event ticket to enter the stadium. There is no re-entry after admittance. Guests should have their tickets ready to scan upon approaching the stadium entry gates. The ticket barcode must be visible no matter the ticket type. Please note, this event allows for mobile entry. Tickets will not be emailed or available to print. Your mobile ticket must be displayed on your phone to get into the event. Will call is located at the Visa Box Office and opens at 4:00pm. Walk-up tickets may also be available at the Visa Box Office. The Visa Box Office opens at 4:00pm and is located at the north end of the stadium inside Toyota Gate F.
Will call opens at 4:00pm and is located at the Visa Box Office. 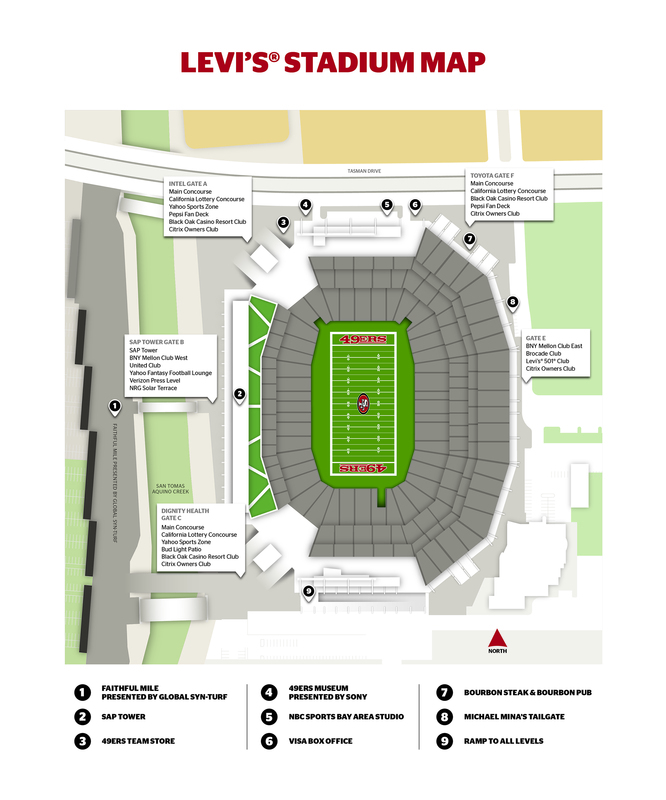 Carter Club VIP check in will be outside of Gate C.
The 49ers Foundation VIP party check in is outside of Gate A. All reserved seating floor guests must use Gate A or Gate F to receive floor wristbands. After receiving wristband, reserved floor guests can enter/exit the floor through the main concourse. All general admission ticket floor guests must use Gate A to receive floor wristbands. After receiving wristband, general admission floor guests can enter/exit the floor through the main concourse. Have TSA Pre✓®? 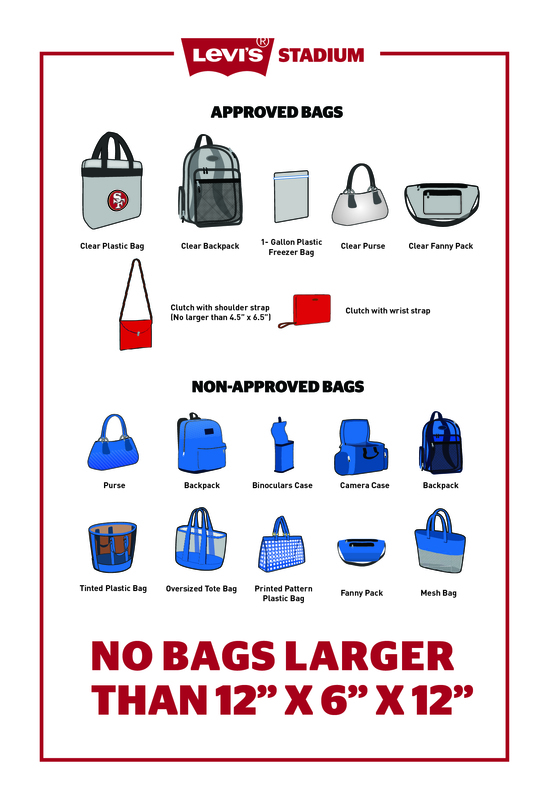 Look for the IdentoGO fast lanes for TSA Pre✓® members at Levi’s® Stadium located at Toyota Gate F and the Faithful Mile security entrance near Gate B. For IdentoGO Domestic PreCheck holders, locate your KTN number at www.identogo.com/ktn to show an IdentoGO representative. For Global Entry holders, you must bring your KTN card to use this lane. And if you don’t already have TSA Pre✓® make sure to visit their activation in Faithful Mile to get signed up! Did you know you’ll receive a $10 discount off the standard purchase price if you buy in advance on Ticketmaster.com? Parking lots are scheduled to open at 4:00pm and all guests must be in possession of a valid event ticket, pass, or credential to park in a designated parking lot. Cash and credit lots (day of event parking) will be made available on a first-come, first-served basis in all parking lots. Prices will be $10 higher than if purchased in advance. Cash and credit lots for this event are Red Lot 4, Blue Lot 1 and Green Lot 3. 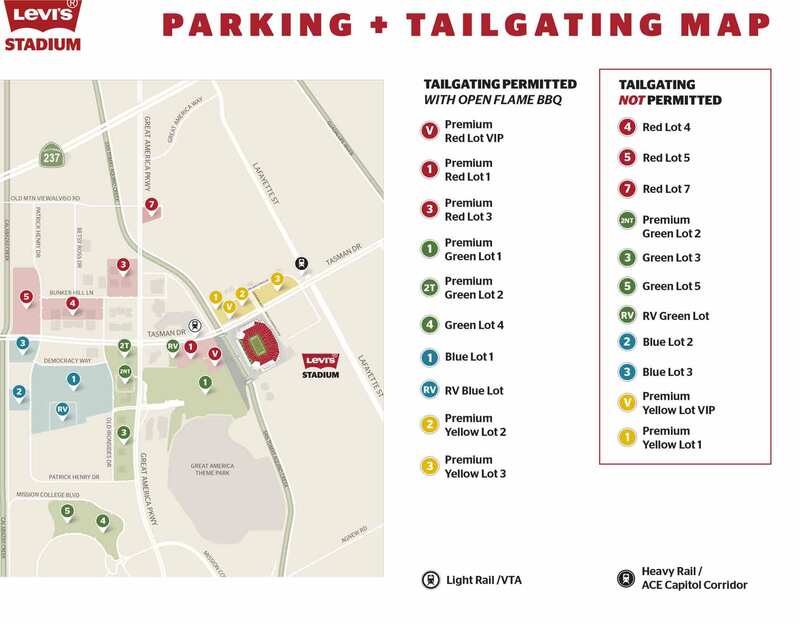 Mobility services will be onsite at 4:00pm to provide roving carts throughout Red Lot 1 for assistance to stadium gates. 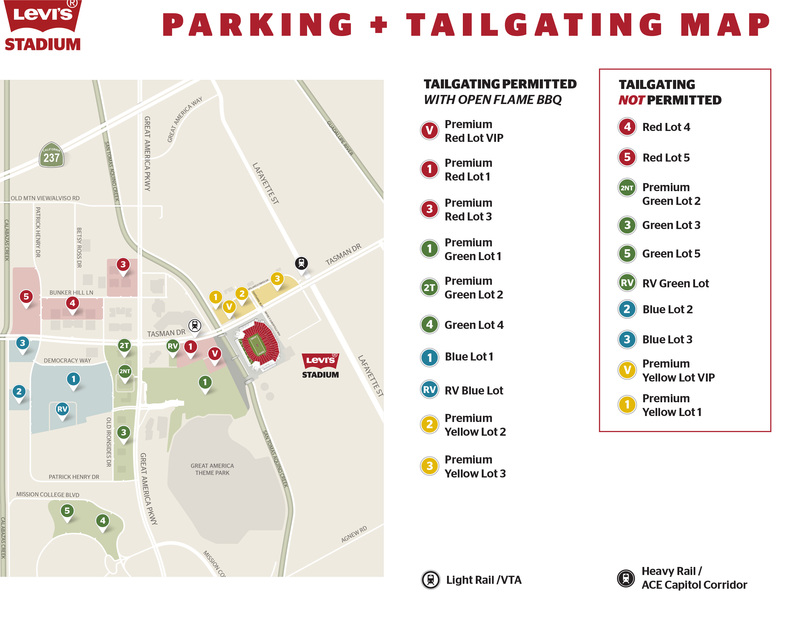 Bicycle parking will be located in Red Lot 1 and opens at 4:00pm. All ticketed guests will be permitted the use of the San Tomas Aquino Creek trail beginning at 4:00pm. The Silicon Valley bicycle coalition will be administering this operation. Tailgating will cease after event start. Caltrain provides services from San Francisco to South San Jose with stops all along the peninsula. On event day, Caltrain transports passengers from all locations to connect with VTA light rail trains or buses at the Mountain View Transit Center, located at Evelyn Ave, and Castro Street. Fans heading to the event can get off at the Mountain View station and transfer to VTA light rail to Levis’® Stadium. For more information, please visit the Caltrain Levi’s Stadium service page at www.caltrain.com. 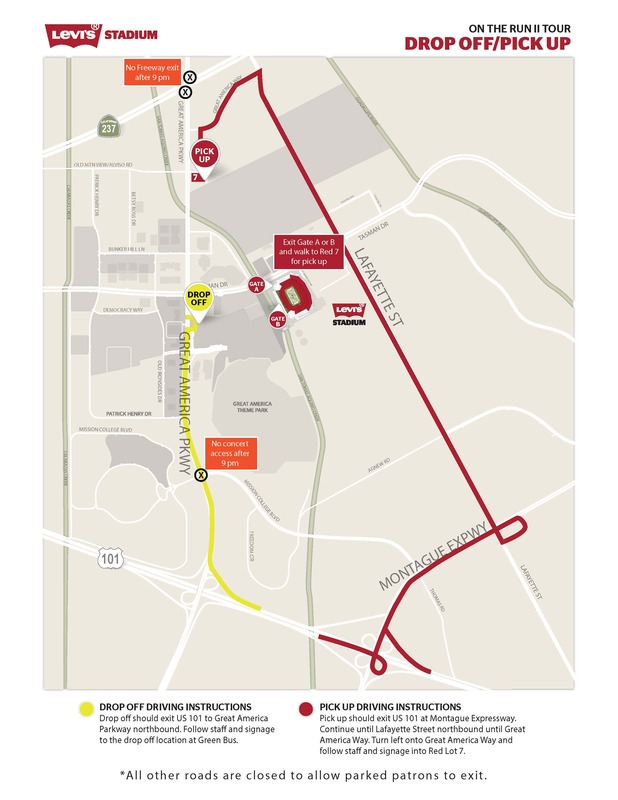 At the conclusion of the event, guests using rideshare should exit Levi’s® Stadium through Intel Gate A or Toyota Gate F and follow signs to Red Lot 7 via the San Tomas Aquino Creek Trail and/or Great America Parkway. We ask guests to open their app and request a ride once they arrive at Red Lot 7.